Showdown, Montana's oldest ski area, has grown considerably since it all began in 1936. Starting out with the only rope tow to convey skiers the 1,400 feet to the summit, Showdown now offers skiers a choice of four lifts that access of 640 acres of skiable terrain. 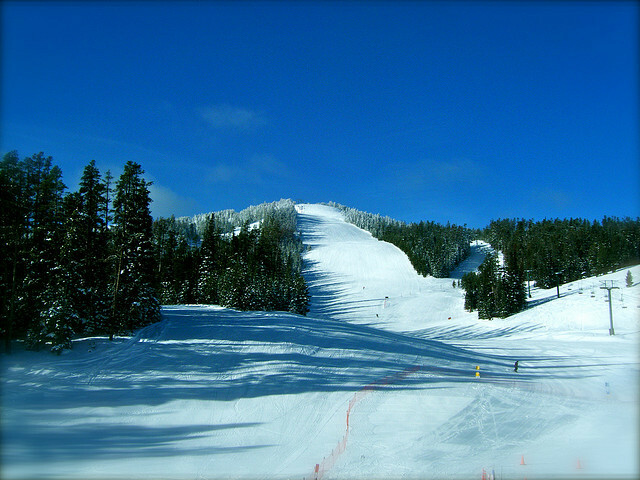 Showdown's 8,200 foot summit provides access to excellent tree skiing, as well as some steep bump runs. Showdown's annual snowfall of 240 inches will keep the powderhounds happy, and their friendly staff who works and lives in the area provide a ski and snowboard experience like none other. Kids' programs, restaurants, saloon, ski school, pro shop; and a rental shop offering skis, snowboards, snowbikes, telemark skis, snowshoes, and snowblades.